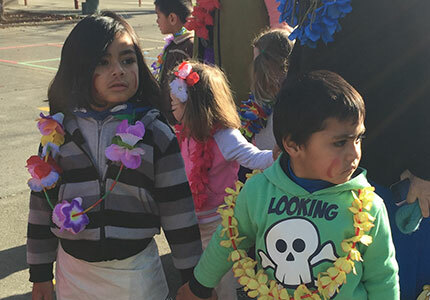 "Tautua nei mo sou lumanai a taeao - serve now for a better tomorrow" has been a theme for this year at Kidsfirst Kindergartens Hoon Hay. 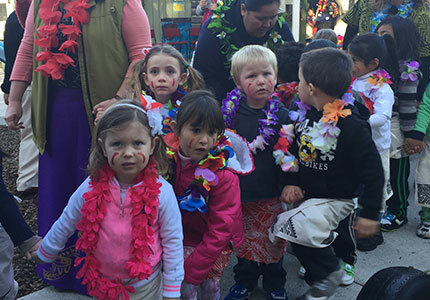 The kindergarten celebrated the culmination of Samoan Language Week with their fale blessing. 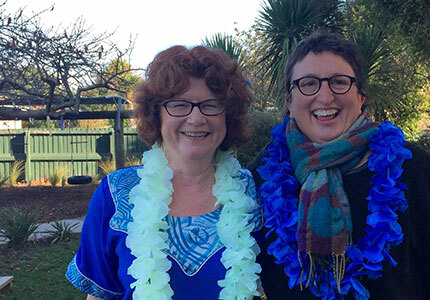 Whānau, friends, community members and students and teachers from five nearby schools were invited to come as Head Teacher Jo Lynch started the day with a welcome speech in English and Samoan. Reverend Neru Tiatia blessed the fale officially, and then ended the formalities with a parade around the gardens to the school next door for the official opening ceremony, followed by a lunch prepared by the Samoan Parents Association at Rowley School. “We were treated to such a yummy lunch. After that, the kindergarteners performed the cultural items wearing ula and lava lava– what a day it was!” says teacher Amelia Solofuti. ABOVE: Kidsfirst Hoon Hay's Head Teacher Jo Lynch and Education Services Manager (ESM) Gae Thawley.